Every year we offer a wide variety of sponsorship levels. Even at the entry level, the opportunity to show your corporate social responsibility garners a great deal of public exposure for your company or organization. 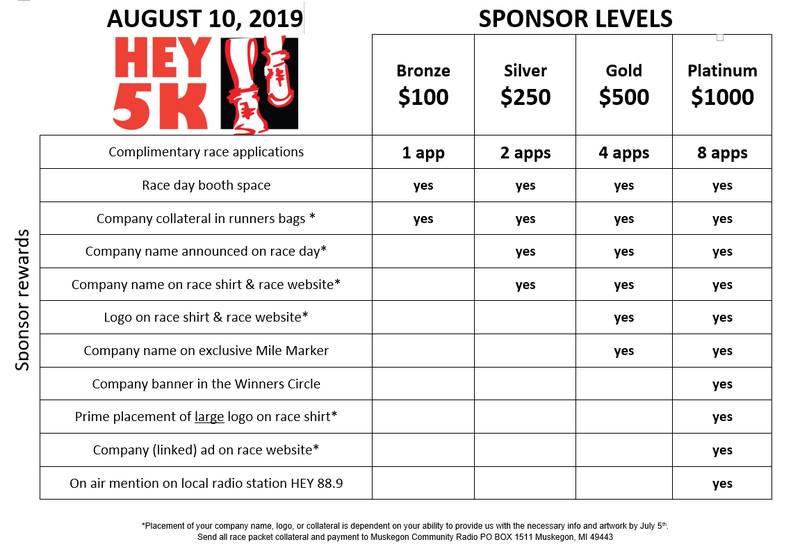 This highly rated community event draws the attention of thousands for months before the day of the race via print, radio, and social media from far beyond the borders of our city.